My job at Blackwell is the Facilities Co-Ordinator. 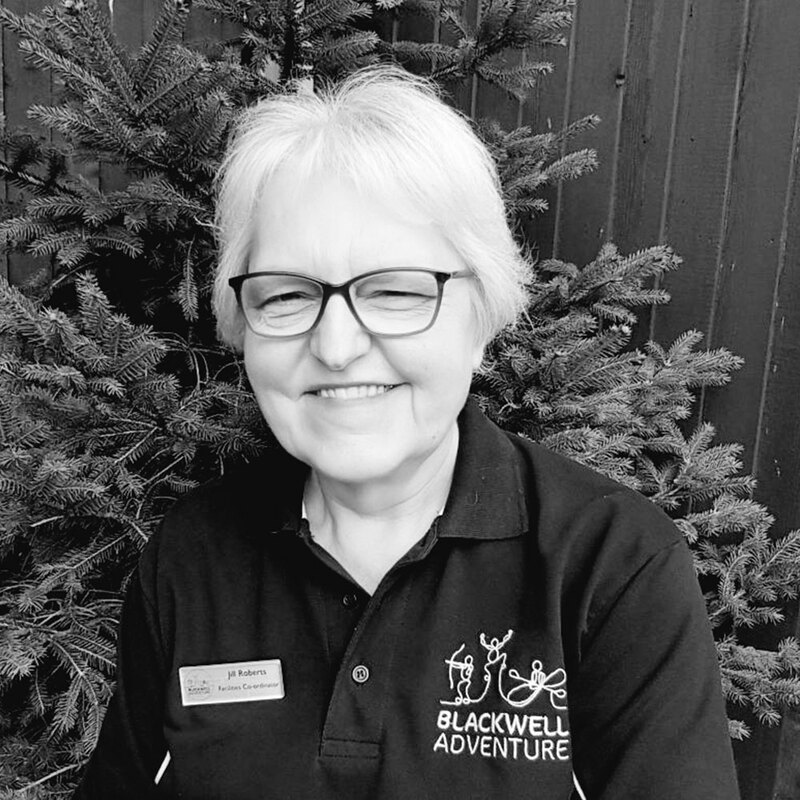 I work along side Jan and Jane to ensure that your stay here is enjoyable and comfortable with a ‘home from home’ experience. As I’ve been coming here as a customer for years, I feel well placed to understand the needs and expectations of our customers. My favourite thing about Blackwell is being surrounded by the beautiful natural surroundings. I also love seeing and hearing the liveliness of the centre and get great pleasure out of seeing the children, in particular gaining so much from being outdoors. In the late 1980s I was asked to be ADC Beaver Scouts in Kidderminster. Beaver Scouts was unheard of then and was only just being launched nationally. It went from zero to 13 colonies, which I am proud to say I was a part of. I have been married to Gareth for 40 years which again is a big achievement! I have two children and a lively 12yr old grandson.